WELLINGTON, New Zealand (AP) New Zealand will play a Boxing Day test against Australia at the Melbourne Cricket Ground in 2019 for the first time in 32 years. The Dec. 26 match will be part of a series of three tests and three one-day internationals confirmed on Thursday by New Zealand, which announced its schedule for the 2019-20 season. New Zealand and Australia last met in a Boxing Day test in 1987, when Richard Hadlee was a member of the New Zealand team. England (eight times), India (six), West Indies (five), South Africa (five), Pakistan (four) and Sri Lanka (two) have all played Boxing Day tests in the interim, but New Zealand was not considered a sufficient drawcard. The teams are also likely to play a test at the Sydney Cricket Ground for the first time since 1985. New Zealand’s schedule includes an away series of two tests and three Twenty20 internationals in Sri Lanka in August 2019. England will play two tests and five T20s in New Zealand in October and November before the series in Australia. India will then tour New Zealand for two tests, three ODIs and five T20s in February and March 2020. 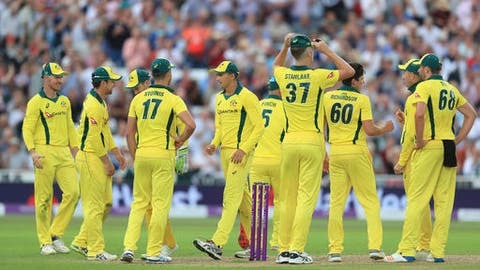 The 2019 season sees the start of the International Cricket Council’s test championship and ODI league.